Ending a friendship is a very personal decision. Everyone has his or her own threshold — his or her own breaking point. Perceptions of what may be considered ‘toxic’ can vary, depending on the individual. And, the connection to another person in a friendship could be strong, which may outweigh the negatives present within the relationship. Therefore, the signs I’ve compiled — signs that indicate that you may want to put a friendship aside — are only suggestions. However, if you’re sifting through rocky terrain, perhaps these ‘red flags’ will help move the thinking process along. You feel drained.There are friends who tend to emit negative energy, and pull you into their vortex of unhealthy habits. Is an emotional investment, in this case, worth it? Maybe it is, but if you’re unsure that your bond outshines these issues, it might be time to walk away. You feel a lack of support.Even if others disagree with our choices, we hope to still feel supported and accepted for who we are, and what we do. It’s difficult to remain in a friendship with someone who’s (more often than not) judgmental. You feel personally slighted.We’re all familiar with those who uphold different world views, religious beliefs and political ideologies. Contrary opinions comprise the conversation and passionate ‘debate’ may ensue. The conflict arises when words get personal. One moment you’re disagreeing about the underpinnings of global warming, and the next moment, you’re being called an idiot. Sometimes it’s best to steer clear from hot button topics altogether, but if you notice this kind of oppositional approach continually permeating dialogue, a friendship can definitely become strained. You feel uncomfortable in the other person’s presence.Discomfort around certain people may manifest physically, according to Dr. Irene S. Levine’s 2013 video.You dread being around this person and start to develop headaches and stomachaches, which could be a clear indication that your relationship is questionable. 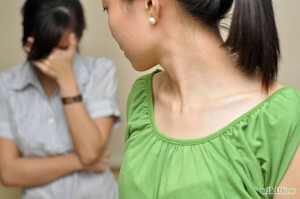 “I think most friends would be very upset if their friend was not understanding, not sensitive, took advantage of them, wasn’t available – so there are a number of things that can make a friendship feel uncomfortable,” Levine noted. You question their authenticity.I think that this is a serious implication that something isn’t right. If you’re wondering whether your friend genuinely wants to be your friend, then that sounds like a recipe for disaster. Observe carefully; do their actions and words correlate? I spoke with Alexandra Raffo, a behavioral therapist, who shed light on the subject matter and shared her own experience as well. “As horrible as toxic friendships are, they are also very important,” she said. I have to stress once more that the aforementioned signals of toxicity may not land on your own list; we all have various opinions and that’s what makes the world go round. However, if you do resonate with these signs, it might make sense to discuss any concerns with your friend in order to gauge whether the friendship can be preserved, at least in some capacity. If you truly feel that it’s time to break ties, though, listen to that inner voice.